Metal forming is one of the most important manufacturing processes available for the production of an expansive array of parts and products. 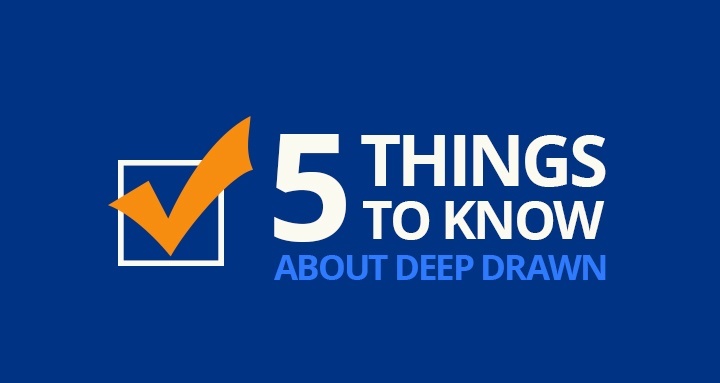 Inside the overarching category of metal formation and fabrication, deep drawn methodology is one that offers the most value, in relation to cost effectiveness, production efficiency and time efficiency - one of the driving reasons why deep drawn manufacturing has gained wide adoption. Importantly, when engaging in the process, there are five key elements to keep in mind, as each of these concepts have an effect on your end design. These elements include material type, material thickness, stress distribution, part geometry, and draw ratio, in no specific order. Each of the these five elements have an effect on the manufacturing process and ultimately, the end product. Most, if not all, should be addressed in the initial design brief and this will continually be updated as the process continues. Both material type and material thickness play a role in determining the other three aspects or elements, although these are not solely dependent on the material thickness as much as type, depending on the desired result. When combined, all these elements determine the effectiveness of the processing to produce an acceptable, quality end result. While the material type does not change throughout the process, it will determine how efficient the process is and how many passes are required to produce the part. Each material has its own qualities and these will in turn affect how well the material responds to the manufacturing process and how readily it will accept defects. The amount of material contained in the originating blank must correspond to the amount of material for the finished part. This includes the necessary thickness required by the end part. Often, material can be purchased in a range of thickness but this increase or decrease in the amount and quality of the material will directly affect the thickness of the part as well. Stress applies to a range of situations throughout the manufacturing process. From the stress capability of the material itself, stresses applied during processing and the stress capabilities of the final construct. The material and material thickness must be able to undergo the various stress brought about by the process but also by maintaining the final shape. While it is true that almost any part shape is available, some part shapes are easier to produce, require less processing and have different stress characteristics. Additionally, the material type can have an effect on the part geometry, in some situations, the material can require a different geometry than what is planned. At which point either an alternate geometry is required or an alternate material used. Draw ratio can correspond to a variety of different things, but in this context, it refers to the amount of material necessary, with minimal waste by-product. Some materials can be drawn farther than others and the draw ratio is the amount of material used versus any required to maintain the blank. Blank holding material is sometimes wasted material that has to be removed. Other elements exist concerning Deep Drawn manufacturing and the process and different elements are used when the various deep drawn processes are used, i.e. hydroforming. It is important to understand these elements as your order is processed and ultimately delivered. This is so you can properly design, respond to any concerns, and work with your manufacturer to deliver the best part possible for your needs.